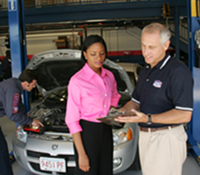 Here you will find the auto parts store franchise business opportunity directory for hottest franchises for sale such as American Engine Installation, Batteries Plus Bulbs, Cap-It, Interstate Batteries, Mac Tools, Matco Tools, Mega Power, Midas Muffler, Mighty Auto Parts, Napa Auto Parts, Pacific Power Batteries, Pirtek, RimTyme and Snap-On Tools. If you are interested in ownership of an auto parts store franchise, you will find the best franchising opportunities as well as information to help you to purchase a single franchise, multi unit ownership, franchise area development, become a regional developer or own a master franchise territory. As a small business owner starting out, you will find franchises at various investment levels and franchisors will assist you with info on making a purchasing decision as well as how to start to develop your business after the buying and purchase process.